from 06 April to 19 October every saturday from 10 am to 5 pm. Further information is available here.Forthcoming steam weekends are available here. In the passageway to the loco shed there is a reproduction of a passenger compartment. This was fabricated for exhibition purposes by the neighbouring DB AG repair workshop. 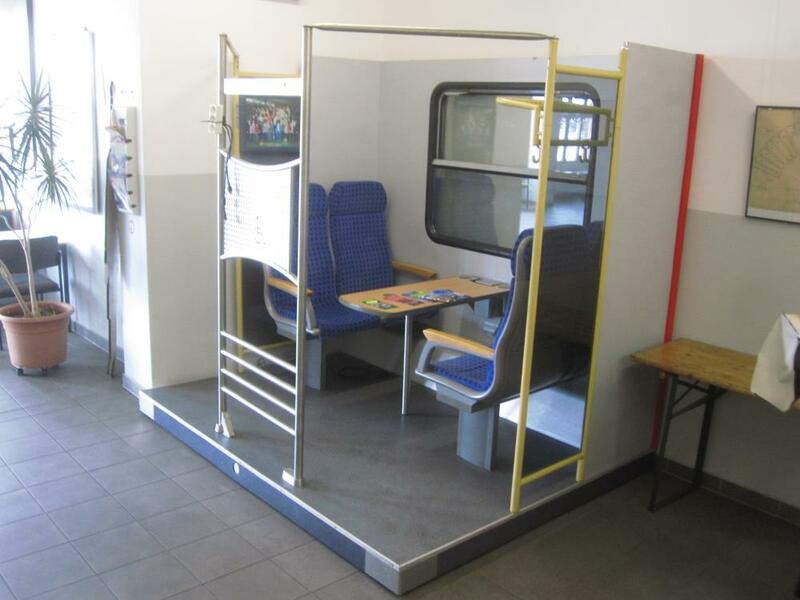 The fittings are designed in the style of a commuter carriage of the early 2000s.